During a lecture at Bennington College in 2002, I heard poet and translator Alastair Reid say this: "There is no possible theory of translation. It's alchemy.... You are being spoken by the language." 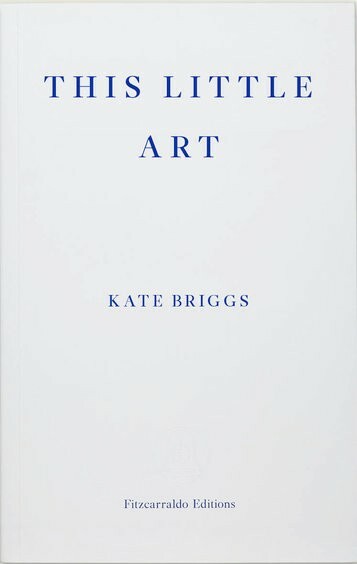 Lately I've been spoken by the language of several books, including This Little Art by Kate Briggs (Fitzcarraldo), a dazzling alchemical exploration of her world between words, in which she notes that "when it comes to writing and reading translations the question of what is wholly normal or truly plausible, of what was really said or written, gets suspended slightly." 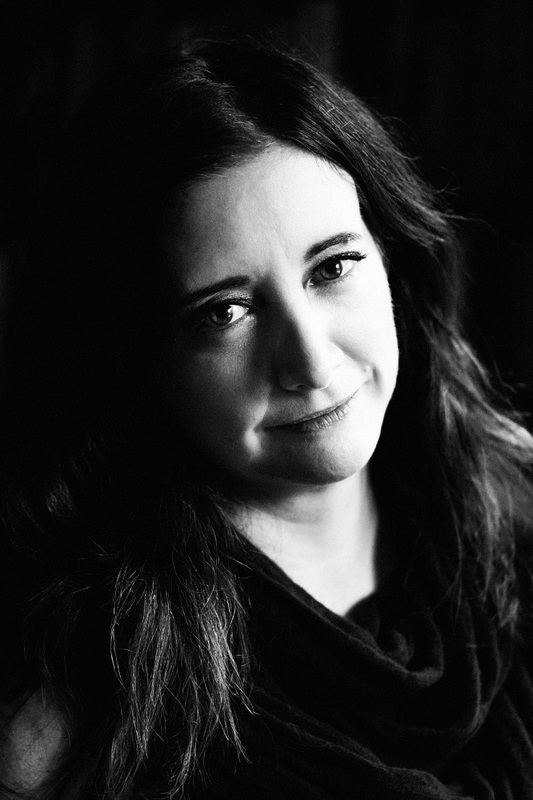 "Language is powerful, almost magic, and the smallest alteration can elevate a sentence or be its undoing," the narrator observes in Mirror, Shoulder, Signal by Dorthe Nors, translated by Misha Hoekstra (Graywolf). Sonja, a Danish translator of crime novels by a bestselling Swedish author, is learning to drive in middle age. Words are complicated in the best possible way. Language alchemy also surfaces in Meredith Broussard's illuminating book Artificial Unintelligence: How Computers Misunderstand the World (MIT Press). She writes that "voice-response interfaces" (e.g., Alexa, Siri) "don't understand language. They simply launch computerized sequences in response to sonic sequences, which humans call verbal commands." 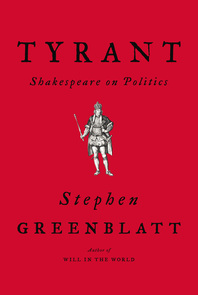 Then there's Stephen Greenblatt, whose not-so-thinly disguised, highly engaging polemic Tyrant: Shakespeare on Politics (Norton) reminds us that in the Bard's time, there was no freedom of expression, "on stage or anywhere else," so "people developed techniques for speaking in code, addressing at one or more removes what mattered most to them." And what happens when words fail? Tim Winton's brilliant novel The Shepherd's Hut (FSG) probes the mind of Jaxie Clackton, a troubled young man looking for a way out. ("Mum said school mighta been different for me if I only give a damn. Maybe it was wasted on me like the teachers said. I didn't have any philosophy in me then, so I didn't know what to listen for.") On the run, in the outback, he finds his language. Mental Floss featured "25 of the new words Merriam-Webster is adding to the dictionary in 2018." "J.K. Rowling surprises Scottish couple by photobombing their wedding," HuffPost reported. "Writing while traveling can be difficult, but these 7 tips will help," Bustle promised. "In praise of the unshelveable: 10 weird finds from the used books boxes" were shared on Lit Hub. Shaun Prescott picked his "top 10 books about strange towns" and Salley Vickers suggested "the best books about family dynamics" for the Guardian. Chan Hwee Chong designed a "minimal bookshelf with gaps at both ends. Slot a book in it and it acts as a bookend." 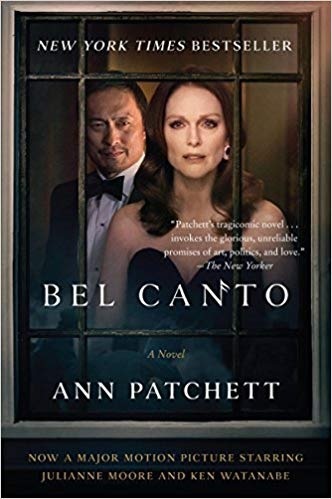 The film adaptation of Ann Patchett's Bel Canto opens September 14. Paul Weitz (who co-wrote the screenplay) directs a cast that includes Julianne Moore, Ken Watanabe, Sebastian Koch and Christopher Lambert. Moore stars as Roxane Coss, a famous American opera star invited to perform at the vice-presidential mansion in an unnamed South American country, at a party in honor of Japanese businessman Katsumi Hosokawa (Watanabe). Terrorists crash the party and take everyone hostage. Over the next month, an international group of guests must learn to cope with confinement, each other, and the people keeping them captive, all while trying to avoid what seems to be an inevitable tragedy. 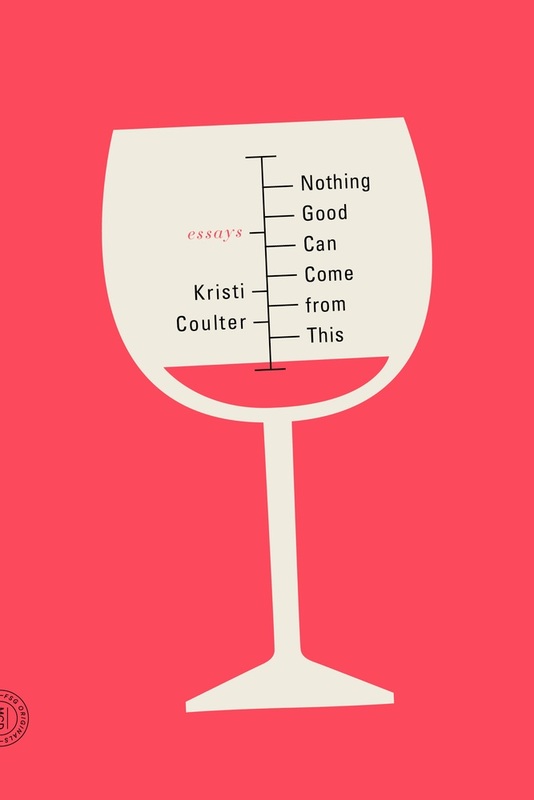 Nothing Good Can Come from This (MCD/FSG, $15) is a collection of autobiographical essays from Kristi Coulter, who offers her takes on drinking, sobriety, self-esteem, Laurie Colwin's novels (and Coulter's epiphanies about pursuing happiness), being a woman in a male work environment, crafting as a sobriety strategy and running (knowing how to "persevere resentfully"). Coulter's memoir belies its title: many good things can come from this. About your experience as a woman at a tough company (Amazon), you say, "Booze is the oil in our motors, the thing that keeps us purring when we should be making other kinds of noise." What kinds of noise might women make? When I got sober, I realized I couldn't do the job. I just couldn't do it. (It was in publishing. There's a lot of drinking in publishing.) When I stopped drinking and allowed myself to feel, my situation was a terrible match. It wasn't me, it was the job. I hear a lot of women say they are just working their way through a hard time, or through the Trump administration, or until their children are old enough to drive. Yeah, "and then I'll stop." But when you're drinking your way through, say, the Trump years, how much are you not seizing your personal power? I know a lot of women who say they have a hard time getting started, they feel helpless, they sit around watching The Handmaid's Tale. But I've felt my own personal mission, and it's kept me going. If I were still drinking, I wouldn't be doing anything, because I wouldn't be noticing. I'd be numbing. I think, when I hear that stuff, "What are you giving away?" You're giving up your agency. There's still so much good to life. When I hear women talk this way, I want to say "just live your life, you can't let them take away everything." There is a way our society has conspired to make women think that if they're drinking, they are mature and tough. Belly up to the bar and strip away your sorrows. But it's just not the case. You stopped drinking by stopping. We're used to a more dramatic scenario. But you discovered the difference between killing the want and just saying no to it. I thought if I could deal with my anxiety, if I could fix everything that's wrong with me, then I'd stop drinking. I tried reiki, yoga, therapy, hypnosis. I didn't hit the kind of bottom you hear about, and that's one of the reasons I wanted to write this book, because a lot of people don't have that, they don't end up in jail. I decided I was going to have to not do the one thing I wanted to do, which is hard in this culture. But nothing else worked, so I just tried it. What I found was, one way to stop worrying about drinking is to stop drinking. Imagine that! A lot of what I thought I was medicating was actually caused by the drinking. I still have anxiety, I have issues with depression, but just taking alcohol out of my life has cut both the frequency and severity of my symptoms in half. And that started happening pretty quickly after I quit. What does "being the only woman at the table" at work entail? It entails constant otherness, constant code-switching so that hopefully you can be seen and heard. And that doesn't mean the environment is even a hostile one. You can be at a table with decent, thoughtful, progressive men and if you're the only woman, you're still Other. And they're Other to you, with the difference that you have spent your entire life adapting to their ways of doing things. I realized a few months after leaving corporate life that I unconsciously filter some of my thoughts through a male lens, because much of my success depended on whether male peers and leaders thought I was smart and effective. I'm a highly adaptable person and so over time I basically installed a corporate, alpha-male brain as an overlay to my own, and that allowed me to succeed in a company culture built largely by and for men. I'm curious to see what's under that overlay and how long it'll take me to rediscover it. Your younger self confused pickled self-destruction with emancipation. When I was writing the essay "Enjoli," what first went through my mind were the flappers and how they'd used smoking and drinking as marks of liberation. There's nothing new in women using substances to reject the notion that we're supposed to be the serious, well-behaved gender, the adults in the room. As a young woman I felt the same impulses to show that even though I was a National Merit Scholar who gorged on AP classes, I could still drink and smoke like Gillian Flynn's proverbial Cool Girl. And fundamentally it was all in the service of having cred with guys, wanting them to think "Oh, she's different from most girls." Because I'd gotten the cultural message all my life that being a typical girl was to be fatally flawed. Trivial, silly, weak. So I decided to be a Cool Girl instead. And I made a pretty good one. But I don't know that any of this got me closer to actual freedom or empowerment. The book's epigraph is "Look me in the eye, and tell me that I'm satisfied." Are you? Susanna Kearsley (Season of Storms) is known for seamlessly blending sweeping historical sagas with modern-day dilemmas, and Bellewether is no exception. Charley Van Hoek has just accepted a position as curator at the soon-to-be Wilde House Museum. The historical Wilde House on Long Island has stood for centuries, and Charley is excited to unlock its secrets. But as she begins sifting through documents and artifacts in order to help create the new exhibits, Charley notices some strange phenomena in the house. Local rumor has it that Lydia Wilde, who lived during the Seven Years (French and Indian) War, had a French lover who was killed by her brother, and that his ghost haunts the house to this day. In the part of the book set in the 1750s, Lydia Wilde and her father and brothers are still mourning the recent death of her mother when two French prisoners-of-war are quartered in their Long Island home after a British victory. To her dismay, Lydia finds herself drawn to French-Canadian Lieutenant Jean-Philippe de Sabran. With meticulous research into a fascinating segment of colonial America, Bellewether is historical fiction at its best. The chapters alternate between Charley's modern problems (a new job, a self-centered boyfriend) and Lydia's earlier struggles (two brothers chafing under her father's rules, her unfortunate attraction to one of the enemy). Readers of Kate Morton or Lauren Willig are sure to enjoy Bellewether, as will anyone interested in early American history. --Jessica Howard, bookseller at Bookmans, Tucson, Ariz. Discover: In this fascinating novel, a modern museum curator tries to unravel the legend of a woman who lived during the French and Indian War. Like his breakout novel The Family Fang, Kevin Wilson's short story collection Baby, You're Gonna Be Mine is entertainingly odd, highlights the complex relationships between parents and children and is populated by adults who don't seem fully grown and push back against the responsibilities of their age. In "Sanders for a Night," a young boy wishes to dress as his late brother for Halloween, against his mother's wishes. "Housewarming" follows a man who's called to remove a deer from the pond near his son's new home. "A Signal to the Faithful" is about an altar server who faints during Mass, and an awkward road trip with a chain-smoking priest. Discover: This is an odd and charming story collection about adulthood and childhood from the author of The Family Fang. "We were staying at David's apartment in Paris the night the woman fell onto the Metro tracks." The opening line of Anstey Harris's debut reads like the start of a suspense novel, but that's not where Goodbye, Paris goes. What happens next is captured on CCTV and the video goes viral, shining an unwelcome spotlight on David and his many secrets. The fallout shatters the picture that Grace--his girlfriend and the story's narrator--has had about their eight-year-relationship, and their plans for their future. But in her lowest moments, she finds she's not alone. Kindness comes from Mr. Williams, an octogenarian who's a regular at Grace's violin-making and -repair shop, and Nadia, the 17-year-old girl Grace employs at the shop on weekends. Together they help Grace mend the broken pieces of her life, showing her there's more than one kind of family. Discover: When her lover is involved in an incident that receives media attention, a violin maker finds her life disrupted. Louis de Bernières (Notwithstanding, Corelli's Mandolin) braids together stories of how a group of neighbors who grew up together near London are affected by the tides of World War I and World War II. So Much Life Left Over opens in 1925, when Daniel Pitt--an RAF flying ace and the owner of a tea manufacturing company--his wife, Rosie, and their young daughter are settling into civilian life in Ceylon (Sri Lanka). When the couple suffers a devastating loss, Rosie turns away from her husband and inward, toward her faith in God, while Daniel's restlessness leads him astray. As the couple's marriage unravels, the narrative widens to include stories about their families: Daniel's lovelorn, veteran brother and Rosie's parents and her three sisters--and their significant others--and how they are faring back in England. This includes childless Sophie, who is a minister's wife setting off for India; Ottilie, a spinster who falls for a naval officer; and Christabel, a bohemian artist. When the sisters are reunited after their father's death, shocking discoveries surface about love, loyalty and betrayal. Discover: The tides of war affect the domestic lives and romantic entanglements of a group of long-time British neighbors and relatives. In The Piranhas: The Boy Bosses of Naples, Italian journalist Roberto Saviano (Gomorrah) turns to fiction to look at Neapolitan crime, and focuses on the real-life phenomenon of youth gangs, or paranze, wreaking havoc in the city. The tale is all the more disturbing for its basis in real events. Fifteen-year-old Nicolas Fiorillo and his friends from the slums of Naples are preoccupied by symbols of wealth and status, online and off, obsessing over shoes and girls. They quickly find themselves enlisted as small-time drug dealers for one of the established gangs operating out of Naples. Nicolas is restless, however, and when a shake-up leaves them without a backer, he decides to start a paranza of his own. Saviano and his translator, Antony Shugaar, use the nuances of language to reflect on the culture that produces gangs of violent young boys. For example, paranza refers not just to gangs but to the "boats that go out to catch fish through the trickery of light. The new sun is electric... and the fish come looking for it." The boys are seduced by the gangster lifestyle and are alienated from their parents--for them, easy money, drugs and power prove far more attractive than hard work or education. The Piranhas contains scenes of violence that are shocking not just in their ferocity but for the youth and immaturity of the perpetrators. Saviano paints a portrait of youthful disaffection and misguided priorities, ending in tragedy as daisy chains of violent acts reach their inevitable conclusions. --Hank Stephenson, bookseller, Flyleaf Books, Chapel Hill, N.C. Discover: In a fictionalization of real events, a 15-year-old starts a gang of teenage boys that terrorizes Naples. It's winter in Key West, but things are heating up: the island's Harry Truman Little White House is hosting an unprecedented gathering of Cuban and American leaders, in hopes of warming relations between the two countries. Key Zest food critic and avid eater Hayley Snow has a front-row seat to the event, since her mother, Janet, is the caterer. But between the main course and the homemade flan, one of Janet's helpers is found murdered, and Ernest Hemingway's Nobel Prize medal goes missing. The dead man's relatives beg Hayley to use her amateur sleuthing skills to clear his name of the theft and find the killer. In her eighth Key West food critic mystery, Death on the Menu, Lucy Burdette serves up a feast of clues and confusion. Discover: Lucy Burdette's eighth Key West food critic mystery is a quirky, delicious mix of flan, international diplomacy, mojitos and murder. In Bad Man, horror writer Dathan Auerbach (Penpal) vividly turns an innocent small-town Florida grocery store into the place where nightmares go to replenish themselves. 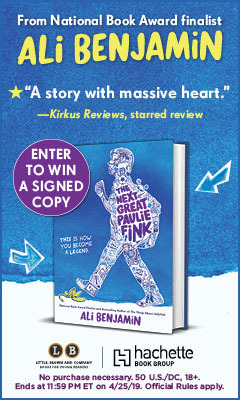 With his father and stepmother on the brink of financial disaster, 20-year-old Ben is forced to take a job at the last place he wants to be--the store where his three-year-old brother, Eric, disappeared. A "missing" flyer still hangs on the bulletin board outside. Permanently injured in a car accident, Ben has always been something of an outsider. His family's tailspin and underlying blame of Ben, who was with Eric when he vanished, have further isolated him, and surprisingly he finds a measure of peace and camaraderie with fellow stockers Marty and Frank on the overnight shift. After confiding in Marty about his connection to the boy on the flyer, Ben's tranquility fractures and his five-year search for Eric intensifies to new and twisted levels. Discover: In the aftermath of his toddler brother's disappearance, a young man is forced to take a job at the store from which he vanished. When Kevin Moore receives a phone call, he disappears--along with 400 other members of a group called the Massive Brigade--leaving behind his cell phone and IDs. The organization's leaders, Martin Bishop and Ben Mittag, are plotting the next revolution, yet they let no one know their entire plan. Meanwhile, FBI agent Rachel Proulx has received an anonymous tip about a missile hidden in a storage unit. She must find Bishop and Mittag before they set their full strategy in motion, a task that sends her on a cross-country chase and endangers her own life. Discover: As a new revolution emerges in the U.S., will the FBI be able to stop the group behind it before they change all the rules of the game? Energetic enthusiasm, integrity, sharp perceptions and an ardent love of beauty in all forms seem to have defined the iconic New York Times photographer Bill Cunningham (Facades) since his childhood. During his life, he was a charming and influential public enigma in the fashion world, despite being the focus of a 2010 documentary. After his death in 2016, his family found this memoir, Fashion Climbing. It covers his early life in repressive 1930s-'40s Boston, his rise as a successful milliner in 1950s-'60s New York City, and the start of his second career as a fashion journalist. One of Cunningham's earliest memories was of wearing his sister's best dress and being beaten for it by his mother. "By the time I was twelve, the family was in a state of frenzy over how they could knock this artistic nature out of me." Nothing worked. Inspired by the glamorous opening of the Bonwit Teller department store in Boston, he got a job there and soon transferred to New York City. When he was drafted in 1950 and sent to France, he ran tours for soldiers and taught millinery classes for officer's wives. "The army days were full of fun and excitement. In the spring, the fabulous Beaux-Arts ball of Paris was thrilling, as everyone poured their ingenuity into extraordinary costumes... we danced a conga line through the sidewalk cafes of the Champs-Élysées." Discover: The influential photographer Bill Cunningham tells vivid stories of his fashion world life in this charming, opinionated posthumous memoir. As a child, Sandra Gail Lambert had polio, which required two surgeries that left her ambulatory but dependent on leg braces. By the time she was 35, she needed a wheelchair and had to quit her job managing a bookstore. A Certain Loneliness is Lambert's wry, unstinting look at a life spent dealing with chronic pain and having a visibly imperfect body. While she's a committed feminist, she recognizes "the damage of growing up without ever having been sexually objectified. How can I explain this?" She explains beautifully in her book's 29 essays, which have no obvious organizing principle; several pieces flash back to childhood touchstones, including the time an invitation to dance was revoked the moment the asker saw her leg braces. A Certain Loneliness has the feel of not so much a memoir as a travelogue: Lambert's body is the topography of her everyday travels. She's a sobering guide. Discover: Sandra Gail Lambert's essays offer a blunt, often bemused look at a life spent managing a physical disability. In strokes of passionate reds, sorrowful blues, hopeful yellows, powerful purples and many more electrifying colors, 13 authors make marks in the YA oeuvre with a sparklingly diverse anthology. Edited by Lamar Giles, cofounder of We Need Diverse Books, Fresh Ink spans multiple genres, formats, perspectives and themes. Several pieces will leave readers chuckling at their clever wit: in Eric Gansworth's wonderfully compelling "Don't Pass Me By," the quiet Native American narrator struggles to exist in a predominantly white school. Some of his friends are "passing," but his distinctive traits don't allow him to hide. Plus, he points out, he failed kindergarten and "[w]hen you screw up Taking a Nap and Playing with Finger Paint, no one forgets." Other contributions haunt their audiences with powerful depth, like Walter Dean Myers's one-act play "Tags," in which spirits of dead youths are tagging walls so the living will remember them: "When that old dude told me you could still be in the world as long as people kept you in their minds, I knew what I had to do. They see these tags and they remember." Still others will warm hearts, including Sara Farizan's "Why I Learned to Cook," about a teenager connecting with both her grandmother and her girlfriend through the bonding rituals of making food. Discover: Thirteen authors infuse fresh ink into the world of YA literature with a collection of stories that highlight the power and beauty of diversity. Somaiya Daud's entrancing YA debut, Mirage, takes place in a Morocco-inspired fantasy world in which 18-year-old Amani is forced into extremely close quarters with her oppressors. "The occupation is cruel. Its heirs crueler still." The Vathek, led by King Mathis, invaded Andala some two decades ago. Since then, the native Andalaans have suffered, their beliefs and customs declared illegal and their hopes for the future limited. Amani, a member of the Kushaila tribe (the largest and oldest in Andala), has a poet's heart and an ecstatic love for the Kushaila prophetess, Massinia. Inured to the occupation, Amani looks forward to taking her place as an adult in her small farming community. At her coming-of-age celebration, however, a squad of imperial droids abducts her and takes her to the palace. There, she meets the princess, Maram vak Mathis, who has the cruel temperament of her silver-haired, blue-eyed Vathek father and the looks ("brown skin and twisting dark hair and dark eyes") of her Kushaila mother. Horrifyingly, Amani looks exactly like her--which is why she has been abducted. Maram is so despised by the people that King Mathis fears she will be assassinated; he has commanded that Amani risk her own life by acting as his daughter's double. Discover: Somaiya Daud's fantasy/sci-fi debut, Mirage, depicts 18-year-old Amani's enslavement as body double to the princess of her homeland's occupiers. Deborah Wiles (Revolution) introduces the citizens of Aurora County to the Cake family in this sweet tale of friendship and establishing roots. Emma Alabama Lane Cake is the only girl child in her family. She has five brothers and four dogs, all of whom pack into their family's van every time father Leo Meyer Lemon Cake decides it's time to move. "We don't settle down, Emma," Leo proudly proclaims to his daughter, "We come from a long line--" She knows this speech well: "--of itinerant bakers," she finishes for him. Emma's brothers have no problem making friends at each new stop, but she struggles; leaving is heartbreaking every time. To ease the pain, Emma has created a "Friend Atlas" that she carries with her to each new city, a personal record documenting all the special friends she's met throughout her nomadic life. This time, Emma is determined not to add to her Friend Atlas--her heart can't take saying goodbye to another best friend. But Emma didn't plan on meeting Ruby Lavender. Discover: To protect her heart, Emma Alabama Lane Cake, the daughter of an itinerant baker, decides she isn't going to make any friends in their new home--but fate has other plans.